In this product update post I wanted to follow up on our most recent successful launch of support for premium data sources in the goal of our future MLS integrations coming out later this year. This post is an overview of what was changed and how those changes increase your chances of success in your business. In preparation for our future MLS integrations that will be rolled out later this year in select metros, the data model of the software was extensively re-written. With this re-write, we now also have the ability to start generating property information from multiple premium sources, which we will start integrating over the next several weeks. 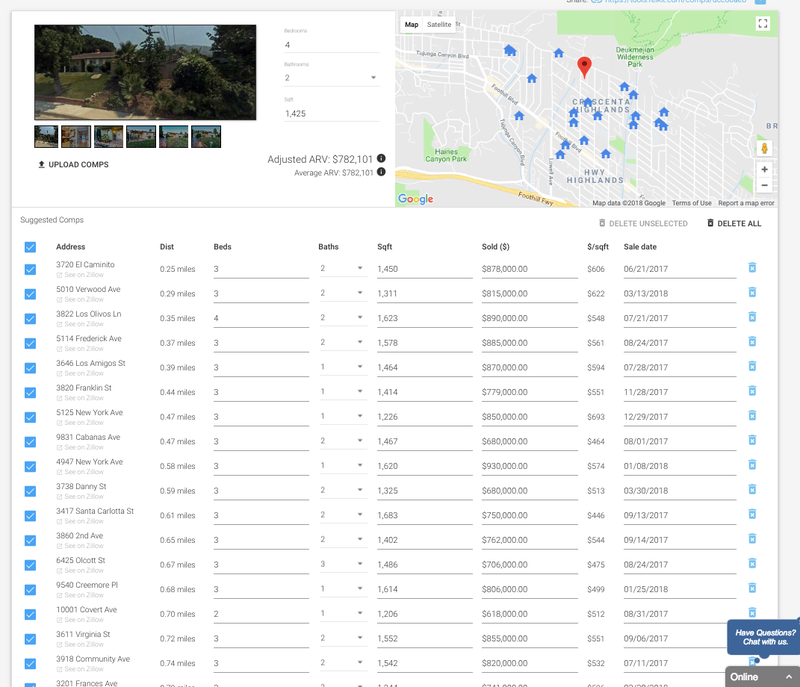 These premium public record data sources will give you far more data than offered by any other platform using Zillow as their source of data (hint: most of our competitors). Zillow only shares very basic property characteristics, and only if the property was updated from a listing. Depending on the location and what is shared at that location in the public record, our new sources will have far more information about the features of the property, including even zoning. Where available, the data will show the owner, lender, and amount of the last loan on the property. This is crucial new deal decision support information that will allow you to not only figure out who the owner is, but also about their equity position and therefore level of motivation. Zillow has stopped sharing this, so most of our competitors don’t have this data, or any of the other data already listed for that matter. Look for further communications as we get closer to integrating these new data sources very soon. This latest software release has allowed us to completely improve how comps are suggested in the ARV tool. After over 20,000 real estate investment projects performed in the software, we have learned a thing or two about Zillow’s scoring algorithm, and I can tell you that there is no correlation between their score and the relevance of the comp. Unfortunately, prior to this update, due to Zillow terms of service, we were forced to use their algorithm to show you their suggestions. The way that we previously overcame that challenge for you, is that we provided you with the maximum number of comps available, giving you the ability to select the best ones from that list. Our competitors instead choose to use that score, some even show it as an indicator of relevance [facepalm]. 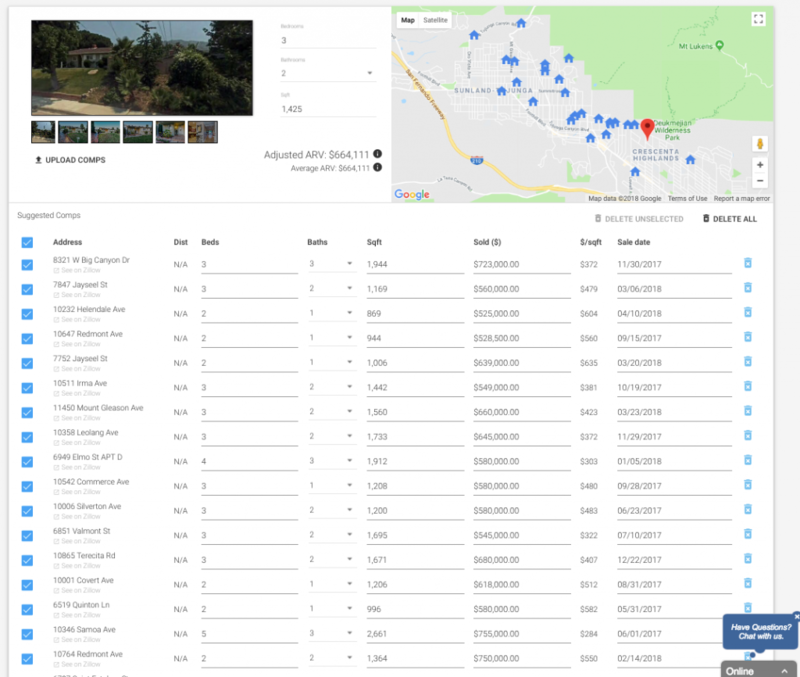 Now that we are sourcing our property data from elsewhere, and only enhancing it with Zillow data, we are not beholden to their comps suggestions and can apply our own proprietary selection algorithms that are in-line with appraisal best practices. Although you may see fewer comps returned overall as the algorithm is smart enough to exclude most the bad ones, the ones that you do get presented will be far more relevant to your property. Another update to the comps and ARV tool, only available for premium users, is that we have added distance of the comp from the subject property as another signal for you to be able to determine the relevance of the comp in your analysis, to come up with the most accurate ARV. We have even improved the comps upload feature to support additional import formats, including those from the Top Producer CRM as well as from TheMLS. Another update now available in the software is that we have split the ROI calculations into both levered, as well as unlevered calculations. This will give you a much better idea of how leverage will affect the profitability of your real estate investment.